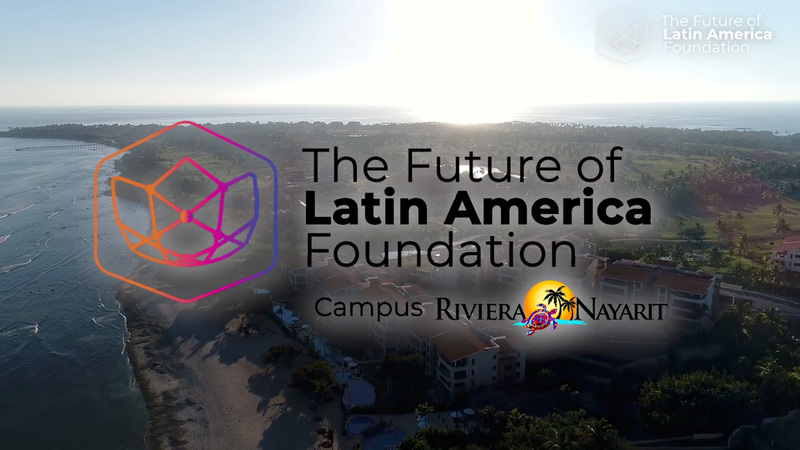 A month after beginning operations, The Future of Latin America Foundation launches a call for entrepreneurs in Vallarta · Nayarit interested in participating in a creative contest aimed at improving the security of the environment and social setting through technology and innovation. Starting next week and until July 25, 2018, the foundation will choose participants for FutureX, a three-month reality camp that will take place at one of the best hotels in Riviera Nayarit. In this space, participants will have the opportunity to work on their projects over the course of several weeks and receive advice and daily feedback, in order to present their progress to the general public each week.
. Afterward, they will be informed with all the indications to register their projects. Backed by a large number of successful companies, The Future of Latin American Foundation campus Riviera Nayarit has implemented diverse initiatives such as the lecture series “Nayarit of the Future”, which is taking place in several universities; an environmental entrepreneurship competition (won by José Luis Vallejo), as well as the development and launch of the app Badeba, which advocates to improve the communication and services between the Bahía de Banderas City Council and its inhabitants.